Home Blogger How To Add Related Post Widget in Blogger ? How To Add Related Post Widget in Blogger ? Here Guys, Today We Show that “How To Add Related Post Widget in Blogger” in Simple Steps. 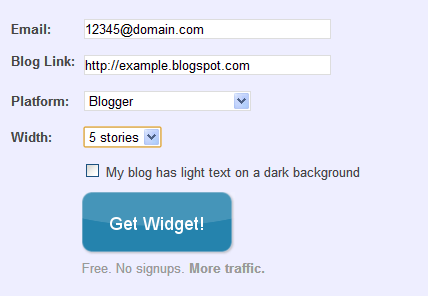 You can Increase your Traffic by using this Blogger widget. LinkWithin is a type of Widget that is used to show Related Posts with Thumbnails and Widely used by Bloggers. 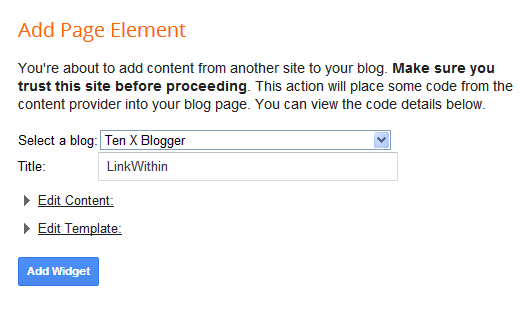 Now Linkwithin widget become very common need for every blogger. Because By LinkWithin you can Increase your Blog Traffic by 30%. When visitor comes to your website or blog and see below related post. Sometimes Visitor interested in it and they gonna check it and increase your page views. So Here we Demonstrate a Simple way to Add Related Post Widget in Blogger. It can make your Blog more attractive and looking like filled Content that User can Caught More content on a Single Webpage. Linkwith provide very simple use and installation in your website or blog. Today am show how to add linkwithin widget in your website step by step instruction. Go To Linkwithin and you will see screen like this. After this Fill Your Email, Blog URL & Blogging Platform and show stories You can choose 3 or 4 in this screenshot i will choose 5 because it can make your related post more Attractive and get more Visitors Notice your posts. If Your blog has in black colour or any other dark colour so check the “My Blog Has Light text on a dark background” Option and Click On Get Widget. After Fill the simple form and click on “Get Widget” Button You see Windows Like this. LinkWithin Widget is very Essential Blogger Widget now that Time because every Blogger want to Place more Content on One Page So, LinkWithin is a Very Useful to Show Related Post to Get more Traffic. It can Improve Internal linking of your Site. In other word you can say It is Recommended Widget for Every Blogger around the Globe. Previous articleHow To Play Pokemon GO in India ? Next articleHow to Add Multi Colored Popular Post Widget for Blogger ?